7th October 2016 Our third release announcet for 2016 has been made. We add the GWR Toad 6 wheel brake van and the Mk3a Loco hauled coaches to the range. Further version of the popular 4,6 and 7 Plank Mineral wagons plus the cattle wagons are to be released also. We add our first N scale items - some assorted car packs for Carflat car carrying railway vehicles (they're available in OO too). Lastly we will offer the Static Isle of Man Steam loco in 2017. The BR Weathered versions of the 7 plank have been released and are almost sold out. We will offer further running numbers in 2017. Please visit us at the Warley Model Railway Show.26th & 27th November 2016. You can find more details, and buy advanced tickets on their website. 24th January 2016 Oxford announces Dean Goods, 4 Plank Wagons, 6 Plank Wagons, Cattle Vans and the development of Mk3 Coaches. Also additional liveries on the Adams Radial. Version 12 and 12 of the 7 Plank Wagon release. 15th December 2015 Versions 9 and 10 of the 7 Plank Wagon release. 26th October 2015 Visit us at the Warley Model Railway Show, Birmingham NEC. We will have on display all our latest Oxford Rail models. You can visit the organisers website, and buy advance tickets via this link. 20th October 2015 The second batch of liveries on the 7 plank wagon have been released. 17th August 2015 The first 7 plank wagons are released. Oxford Rail very much appreciate the interest in our recent announcements, it has generated many questions about our company, the choice of products, the distribution and release. We are therefore making this updated announcement today for the most popular questions asked. Is Oxford capable of manufacturing the Adams Radial?. We already produce similar products, for demanding customers worldwide, at our dedicated factory that has been in operation for many years. The factory is Oxford Diecast China Factory. Who will produce for Oxford as there is a shortage of manufacturers in China?. We will produce the products at Oxford Diecast China Factory. We have carried out an expansion of our factory in the last 6 months to accommodate the introduction of the Oxford Rail range. Our clean rooms have already been updated in preparation. 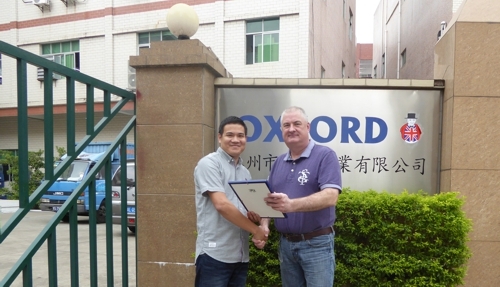 During the recent expansion of the Oxford Diecast China Factory I presented Jackson with an award. Not only had he excelled during a SMETA audit (ethical), the general conditions and environment were considered 1st Class. The Oxford factory produces 2.8 million items per year. Jackson is a great friend and we have worked together these last 10 years. Rita is hiding, but many of you will know her from the trade fairs we attend. Does Oxford have the capability of Design, Research & Development?. Oxford is a UK based company. We are engineers, we have our R & D in Swansea, we use cutting edge modern technology with a blend of traditional model making skills. We have built up a team over the last few years with the aim of delivering new products each month. We work with many of the worlds leading companies. We hold licences with over 100 companies worldwide. Our subsidiary companies in both the USA and Asia contribute to this research and help us with the development of new products. Is this a tester product?. We started the production of scale locos and associated products 3 to 4 years ago. We used this time to build up our manufacturing capability. We have a 5 year development programme for Oxford Rail..
We have developed a strategy, researching the market and identifying products that you want. We have products planned that have previously been produced, but need updating. We have a programme that has identified locomotives, coaches and wagons for future release. We will announce new items throughout 2015. This is not a locomotive - it is a product range. When will we release the Adams Radial?. We will be giving more information to retailers during the trade shows in early 2015. Oxford Diecast China Factory during my visit in November 2014 producing rail products. We have a dust free environment. We plan to assemble the motors internally during 2015. I visit our factory six times a year and my toolmakers fear my visits - that is my favourite time! Toolmaking is the heart of our business and I am so embarrassed that many of our competitors treat them with so much disrespect. They are not a commodity, they are our lifeblood. What liveries will be released on the Adams?. From 1885 to the preserved loco at the Bluebell Railway. You will be able to get Oxford items from many places, we will work with reputable retailers - watch for announcements on this website. We will issue codings etc at the trade fairs in January/February. Shockingly it was suggested that we had not started the design of the Adams. Be assured we have, this is about product delivery. Our policy is to announce product when they are in tooling. However as my diecast collectors realise - sometimes I just release items without pre-warning - it makes it more exciting then, particularly when the products are relatively simple. There are rumours that another company has been researching this item and releasing a competing product, does that worry you?. Yes we became aware of this earlier in the year. It is hard to keep secrets in this market particularly as we have so many friends within the industry. At this stage we had already started tooling. So it will be exciting to compare our products with the competition, as it will allow us to firmly show our capabilities. It will be interesting to look at the competing engineering and tooling configurations. Who is Taff and why the poem (Why)?. I have been in manufacturing for nearly 40 years. I trained with the Mettoy Company in the 1970's. I worked in every area of the factory, hands on as part of programme for the future of the company. Mettoy employed 3500 workers and was a leading producer of diecast, plastic and in its early years tinplate based items. Ministry of Defence approved we manufactured everything - Toys, Hand Grenade Mechanisms, Electrical Goods, Razors, Automotive Products etc. I often joke, if you've used it I have made it ! Mettoy brands included Wembley Footballs, Playcraft Toys and Corgi. 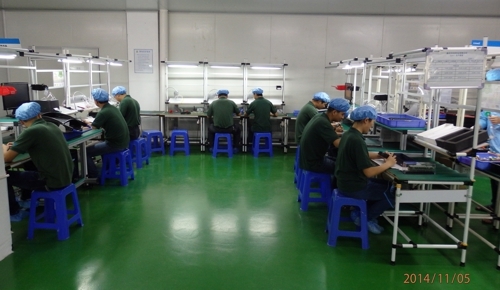 It is this past that has been engraved into Oxford Diecast China Factory today. It is highly efficient using the latest lean manufacturing technologies, I would place a bet that our factory is in the top 10 most efficient manufacturers of our type in China. It looks like Swansea 1979! At 16 I worked in all areas of the factory and the first mould I worked on was the C1113 Hyster Stacker Truck (cab mould). In my twenties I went on to run the factories of Mettoy/Corgi. Then I bought the Mettoy factories in Swansea with two colleagues in the 1980's. During that time we sold the Corgi brand, Oxford started over 20 years ago after a 4 year non-competition clause imposed on me by the American company Mattel - the most frustrating time of my life. I have a passion for engineering and the eventual return of manufacturing to the UK. I ran the last mass production plant of diecast vehicles in the UK - I plan at the right time to be the first to bring it back. Dusty told me to 'bring it home' I promised him last year towards his end that I would, so I will, just give me time. I trust this answers some of the questions posed and give you a better understanding of our plans at Oxford Rail. We are here to stay and hope to provide you with products that will excite and interest you. The first 00 scale Oxford locomotive will be the much admired Adams Radial 4-4-2T Class 415 of the London and South Western Railway. 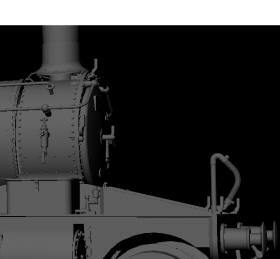 This new Oxford division will not just release random locomotives, however; a detailed plan of future releases is already in place. 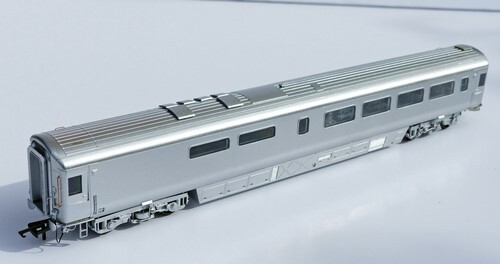 More new model railway items will be announced in the near future, not all of them locomotives. First shots of the Adams radial will be available in the first quarter of 2015". www.oxfordrail.com is now active, with updates on new introductions and their development. All enthusiasts and modellers will be invited to comment. Oxford Rail products will be available through all good hobby shops and specialist outlets. Further announcements will be made soon, but for now Oxford Rail is now open for business; the business of providing excellent quality models.